Microwaves serve as a fast and convenient way to heat food, by causing the water molecule in the food to resonate at high frequencies until it turns to steam and heats your food. One of the biggest hazards of microwaves comes in the form of uneven heating. This can leave your food undercooked, overcooked or with cold and hot spots. Microwave ovens are also known to help carcinogenic and BPA toxins to be released from plastic and paper containers and then cooked into your food. Not exactly what you want to be on your reheated Chinese food from your favorite restaurant in Tallmadge, is it? Meanwhile, Hot Logic macrowave cabinets that are available at Home Pure Innovations are designed to help in keeping food fresher and longer without needing to break the seals. It’s as simple as setting your packaged meal on one of the shelves. This triggers the beginning of the heating process and a blue indicator light turns on. 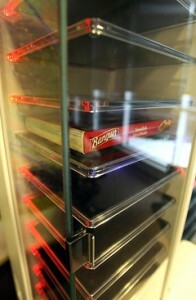 Each shelf contains a microprocessor that processes the presence of a packaged meal. It then calculates the thermal mass and develops a customized heating schedule, heating it from the bottom up, much like your conventional oven. Once the food reaches its target range of 165 degrees, the blue LED light turns red. The fantastic thing about Hot Logic is it can keep your food heated at 165 degrees for hours without it drying out your food like microwaves and heating lamps. When it comes to hazardous microwaves versus macrowaves there really isn’t any comparison. The Hot Logic Macrowave is the safest alternative cooking method on the market and luckily for us, it’s available right here in Akron. As a leading provider of the newest innovations for a healthier lifestyle, it should come to no surprise to residences that Home Pure Innovations is the only provider of this wonderful macrowave technology in the Summit County area! When you have a busy schedule in Summit County, the last thing you want to worry about is the hazardous of microwaves. After all, who truly has the time to spare to run to their home in Tallmadge, Ohio and cook something the conventional way on their lunch break? And eating out can be both expensive and unhealthy. The safest and most convenient alternative cooking method comes in the form of Hot Logic’s macrowave. 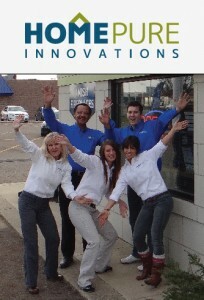 Fortunately for those in the greater Akron, Ohio and Canton, Ohio area, Home Pure Innovations has two locations that provide this innovated piece of technology to the public. So after you’ve weighed the pros and co ns of microwaves versus macrowaves, don’t hesitate to visit your local location and see about getting your Hot Logic today! This entry was posted in Air Purifiers, Appliances, Fireplaces, Heaters, Home Furnishings, Vacuum Sales & Repair and tagged alternative cooking method Akron Tallmadge Summit County Ohio, hazards of microwaves Akron Tallmadge Summit County Ohio, Home Pure Innovations, microwaves vs macrowaves Akron Tallmadge Summit County Ohio by admin. Bookmark the permalink.